This new 214 page book by Stephen Scobie brings together various articles produced in the 21st Century. These are from a variety of sources, and were initially addressed to different audiences. Some were written for Dylan magazines; others presented at academic conferences. 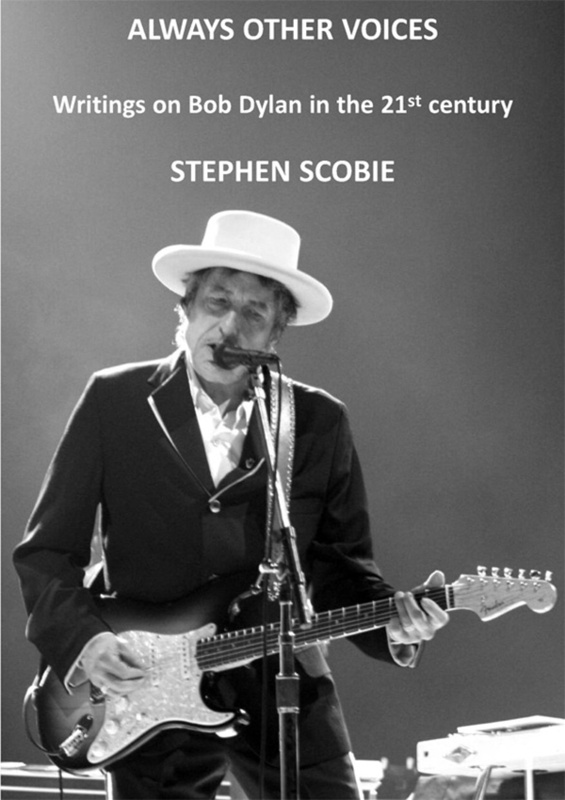 Some assume readers already steeped in Dylan lore; others addressed to more general audiences. Some strike a professorial tone; some are frankly personal. This worthwhile addition to any library will be available early May at the cost of £18 (UK), £21 (Europe) £23 (USA and the Rest of the World) inclusive of p&p. Make cheques payable to Two Riders and send them to: The Bridge, PO Box 198, Gateshead, Tyne and Wear, NE10 8WE. If you would prefer to pay by credit card please use the Paypal option below. We are charged a 3.5% surcharge on all credit card transactions which unfortunately we are forced to pass on. Please chose the correct amount from the drop down list below. Choose correct payment option from the drop down list.